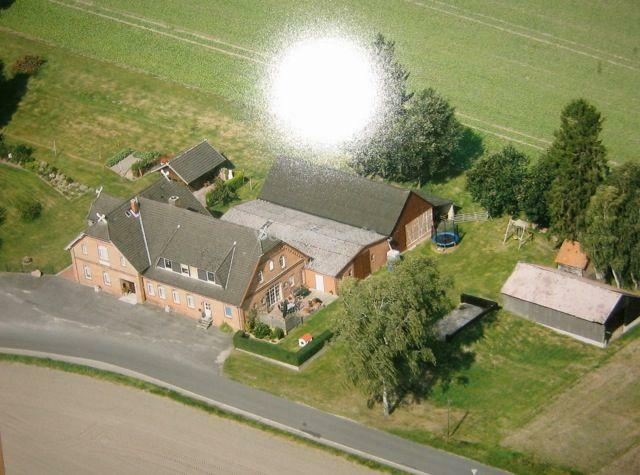 Our small farm is located in the outskirts of Hamburg (about 30 kilometers to the city center). The surroundings (Nordheide, Lower Saxony) offer plenty of exciting nature and invite to recreational activities, such as horseback riding, biking, hiking, canoeing, etc. The farm is a permanent home for two women with three children, four horses (Iceland and Camargue horses), four cats and two young dogs. Additionally, children and youth stay for holidays or instead of going to school as part of our big family. We are professional therapists and our focus is to enhance the social skills of our guests. 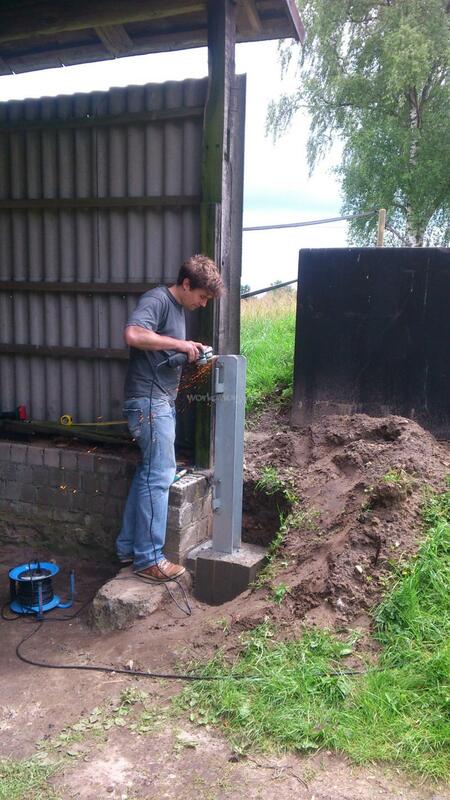 Working on the farm with the animals is an integral part for this. We started our project 4 years ago. 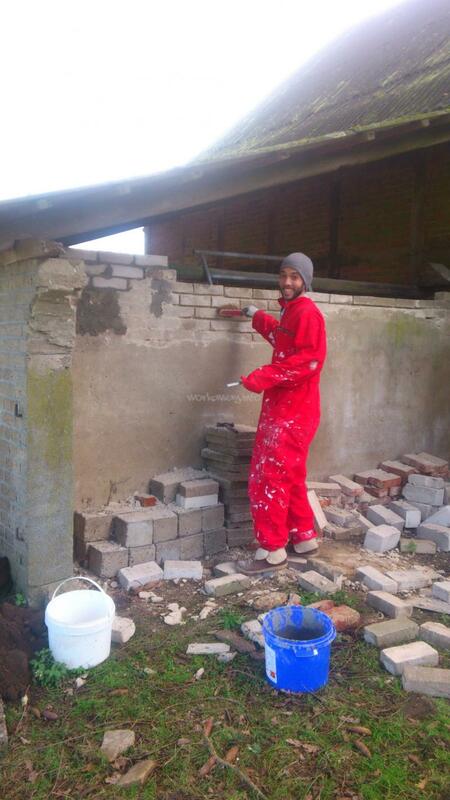 Meanwhile we have finished the major renovation works of the ancient farm house. For the remaining refurbishment we appreciate helping hands. Additionally, we need some support for the animals and the development of our garden. What do we offer? A cozy guest room with shared kitchen, bathroom and living room. 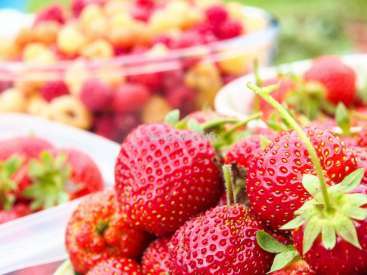 Great organic food. A lot of fun with our animals, incl. possibly riding lessons. Plenty of nature with recreational activities, yet easy access to the cosmopolitan city of Hamburg. Internet (WLAN) access, TV and washing machine… and to become part of our warm-hearted family! Initially, we offer a work away stay for a minimum of two weeks. If we are a good team and we have enough work for you, you are invited to stay longer if you like. Please get in touch with us - emails and phone calls are very welcome! We need your help in different fields around the farm and garden, as you can see in our profile. In particular, we need help with the maintenance of the ancient farm house. Additionally, we need some support for our work with the animals or for developing the garden. We are looking for motivated self-starters with interest in manual tasks, who are eager to learn. Depending on the task, work will be performed in a team or alone. or help in the household. (For example: window cleaning, cleaning the house...) or start small projects. (For example: painting or repairing old furniture) here experience is very important! Please tell us!!!!!!!! hours: 5 hours a day 5 days a week and at weekend the animals needs to be feeded and cleaned (~1 hour) also. we hope you help us sometimes to feed the horses also on weekend but if you want to make a little trip to somwhere you are free and of course you can stay the weekend away. we hope every workawayer have a lot of fun and make some adventure! You would sleep in one of our guest rooms ore gardenhouse. Our gardenhouse has a large living room downstairs and two separate sleeping areas upstairs. In each sleeping area are two mattresses Bathroom, living room, kitchen… are shared as well as Internet (WLAN), TV, washing machine. We expect that everybody cleans and tidies up his own sleeping room and bathroom. Once a week we clean the whole house and we expect that everybody contributes to this cleaning-work (as in a flat-sharing community). Additionally, we appreciate everybody to help us a little bit with the normal everyday-things (like prepare the table for the dinner and so on). Our English, French, Polish is not very good, but we can communicate. Welcome are people with very different language skills to stay with us and to communicate with „hands and feet“. We are pleased to teach a bit of German to the guests, live together and learn languages from each other. We always plan that to have several workawayer in our house at the same time. We think that is more interesting and funny for all. So it is very import that everybody confirms or cancel very fast the dates for the stay in our house. We always try to be a good team for all! They eat super healthy! We… read more love the cooking of Anna-Lisa! Also, Anne thought us so much about hourses and even give us our first riding lesson! The children are awesome! Samantha, Noriel, Julia and Carla...we love you girls!!! Thanks for teaching us some german, play with us, sing and dance!! 1. Always check the itinerary of the buses if you want to go and visit downtown of Hamburg or other places faraway cos they are super tight and in weekend's there's no transportation at all! 2. Make sure you have umbrella or raincoat if you come in winter like we did. If there's no bus you'll have to walk almost and hour or so to visit around. Thank you some much for everything! We really loved meeting and sharing experience with all of you! We hope to stay in touch!! 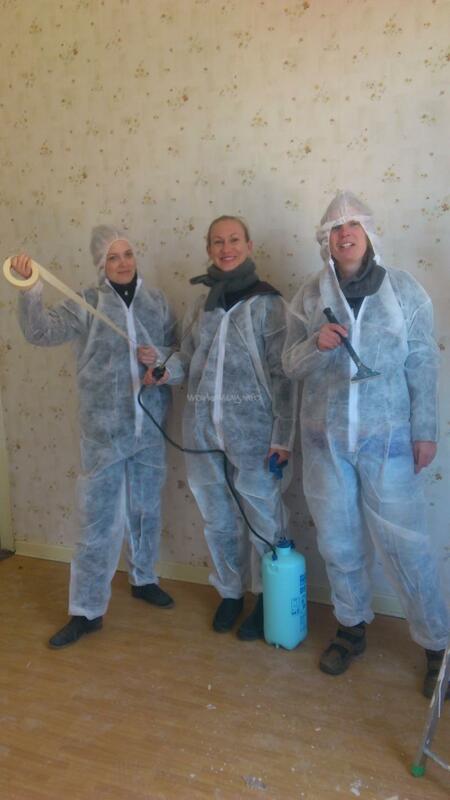 I highly recommend the young hardworker women Anne and Anna-Lisa, Max and the lovely kids. The small family received with open arms. 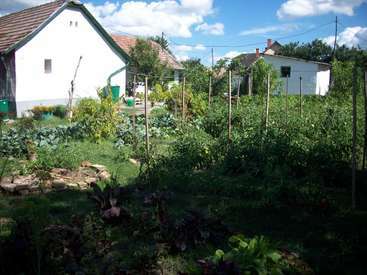 The food is very healthy, the house is very organized and cleaner a good example for all workawayers. The work is not hardely. I really had a great time in Hollenstedt.... and of course, the pleasure of riding with… read more the beautiful white horse. Anne a Anna-Lisa have nice heart and always were open for everything that I needed for have a confortable time in her farmhouse. Thank you all again and I leave a big hug. This Workawayer has chosen to keep their profile private. Meike is a very interesting person. Very warmhearted and patent. She has many skills and is the best help you can have, everywhere. She helped us so much: To take care of the animals, to renovate the house, with gardening, in the household and with the children. Meike is very uncomplicated and found very quickly in the community and are friend… read more with everybody. Anyone who has Meike as a helper in his house can be very happy. She works fast, hardworking and tidy. A big enrichment in everything! We would be very happy to have Meike again in our house. We wish her all the best and hope to see her again!!! I stayed with Anna-Lisa, Anne and the family for two weeks and it was a wonderful experience. The gardenhouse where I slept was, very cozy and clean. The whole farm house is just beautiful and I was always welcome to spend time in the community area where all of the family time takes place. I felt like a part of that big family very quickly. The… read more dogs, cats and horses are also very easy to befriend. The work is not hard and I enjoyed to learn about so different things while working. Everyone on the farm is happy to share their knowlege about animals, riding, gardening and renovating. 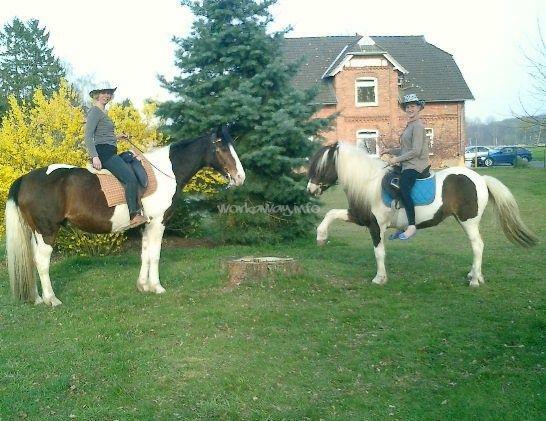 I even was lucky to get some riding lessons from Anne which were so much fun! Three times a day the family eats together on a big table. The food is organic and healthy and Anna-Lisa is the best cook! I got the chance get a ride with the family to Buxtehude a cute little town. You can also reach it by bus. I didn't really feel the need to visit Hamburg or any other citys as I wanted to enjoy the peacefulness and beautiful nature on and around the farm. Thank you for my first workaway experience. I loved it and I'm sure I will be back on the farm one day! Was, my first Workaway in Germany and was an incredible experience, The girls are so sweet and funny also so patients with the language, I learn a lot of things about the farm and also I take a class to ride, was a nice experience, I fell so grateful because sometimes was difficult to communicate but they always so friendly with me. I really would… read more like to see you then and stary more time, I feel so happy to have met you, I think you are a great Family. Nora was 4 months with us also Christmas. And we miss her very much. She was a great asset to our family. And all people, children and animals love her a lot. We often talk about the time with Nora and Guido ;-) It was very nice and very helpful. Nora can play very well with children and has a very loving and modest way. It's nice to have Nora… read more around. She learned the children to play the piano. With much love and patience. Also she did babysitting for little Carla (2 years) and she was very happy. Nora was also very nice with the animals. She often went for a walk with the dogs. Nora did a lot of work and was always very hardworking and thorough. She was a great help in the household and in the stable work. She was able to take care of all horses on her own. She also did a lot of work in the garden. and she help me a bit in the office. her geman is very good. It was very sad when Nora left. We hope she have a nice time and she will visit us soon! Maybe next christmas? We thank you for everything Nora and you are always welcome in our house !!! We wish you all the best! Thank you for the postcard it was a wonderful surprise for us! Anne and Anna-Lisa are super nice, fair and patient hosts, who have a lot of experience in working together with people from all over the world. I learned there a lot about working in horse stable and had variable tasks around the house, while… read more I had the opportunity to contribute to a heartwarming social project. I enjoyed the fun with the kids, the company of the lovely pets, the nature, the extra delicious and healthy food, the calm farm life and the leasure programs I felt always welcome to participate in. João and Inês helped us for 2 weeks in our house. They are a very nice, young couple. During this time we had to work a lot with leaves and to transport sand. despite much rain, they were very busy working outside in the rain. Sorry for the German weather ;-) They also helped in the horse stable and house cleaning. I wish you a good trip! Thank you again for the wonderful time I had at your beautiful place! I still think back to the time I have spent with you guys and all the experiences I made! I loved all your animals, your company and your big family! Take care and hopefully we will see each other again one day! Hello dear Katy. Thanks for the nice feedback. You were only with us for a short time but you are a very friendly and open-minded person and so you found in the first moment friends. All humans and animals love you! We hope you visit us once again in our house. Katy is a great worker and always happy person. it's nice to have Katy in the house.… read more She helped us a lot to feed the animals. Worked diligently in the garden. And in the household she helped to clean and all the tasks. She is very frindly to the animals and children. She is very flexible and communicative person. Hallooo! Sorry for late feedback! But here we go - what a wonderful time I had with Anna - Lisa, Anna, and their families! I spent two months travelling around Europe this Autumn and the week and half I spent on the farm was definitely one of the best times of the trip! As soon as you arrive you are made to feel at home as one of the family,… read more everyone was so lovely and friendly including all the animals! 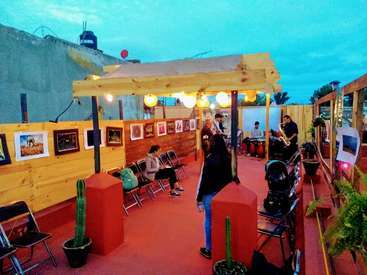 The house is beautiful, and it's very sociable with lots of people always coming and going, but at the same time you have your own space to relax. The food was brilliant, Anna - Lisa is a fab cook and we always ate well! It's a beautiful surrounding, and I really enjoyed being in the middle of nowhere surrounded by green landscape, trees and nature for a section of my trip. You really get to escape while staying here, I felt very relaxed and at peace as the lifestyle is constantly supported by the nature, animals and great people. I felt at home here, and enjoyed every part of the experience. The work itself is very reasonable, helping with the horses in the morning and then sometimes a bit of cleaning in the house or some gardening outside. I always enjoyed the jobs we did, especially if the weather was nice the gardening was lovely being outside in the fresh air. They are always flexible on which jobs to be done, for example with the weather or if you want to go to Hamburg one afternoon you can work more one day and less the next. Monica war bei uns auf dem Hof für eine längere Zeit. Sie hat uns bei allen anfallenden Arbeiten toll geholfen. Sie konnte nach einer Einarbeitungszeit jede Aufgabe selbständig ausführen. Zum Beispiel die Versorgung der Pferde, Hunde, Katzen, Haushalt, Putzen, Gartenarbeit, Rasenmähen, Kochen, Wäsche, leichte handwerkliche Tätigkeiten,… read more Vorbereitung und Durchführung eines Festes,...usw. Monica ist sehr fleißig und ordentlich. Sie ist sehr sozial und hat sich außerordentlich schnell in die Gemeinschaft eingebracht und war mit ihrer offenen und liebenswerten Art sehr beliebt bei uns allen. Auch die Kinder und Tiere lieben sie. Wir vermissen sie sehr! Und wir würden uns sehr freuen sie noch einmal bei uns im Haus willkommen heißen zu dürfen!!! Jeder der Monica als Gast in seinem Haus beherbergt kann sich glücklich schätzen! Almost everyday I think about those days and I'm sure... I will come back! I spent such an amazing time with these two… read more special women and their furry friends, relatives and guests. The job was fair and every day was interesting and different. I liked doing my chores. But I really enjoyed every tasty meals, the time I rode the sweetest horse ever (especially in the forest), the trips I was invited to and the lovely conversations I had in German. And last but not least, I loved the timeless walks I had in the stunning forest in the sorroundings (and the timeless super breakfast)! I feel greatful for this experience. When you are there you can tell the time you are spending there is simply worth it. Anne, Anna Lisa... GRAZIE und bis bald! It was my first Workaway experience and I really didn't know what to expect. Now I can say that the experience of staying with Anne and Anna Lisa was beyond all expectations. Thank you so much for your kindness, and to make me feel warmly welcome. I was kindly invited to take part in every activity they did (which are a lot! Trips to Hamburg,… read more Riding, going to the sea, watching a film, exercising...!). Also, the food and accomodation was absolutely great, and the work was ok! Besides, I was able to improve my German skills. Everyone was so helpful and pacient with me, kindly repeating and explaining when I didn't understand. This workaway experience has enriched me in so many ways. I take with me new skills, plenty of delightful experiences, a broader perspective of life and, best of all, the discovery and friendship of a group of amazing people. I had a wonderful couple of weeks here. Anna and Anne-Lisa were friendly, fun and made me feel right at home. The farm is beautiful and the cats, dogs and horses are all very sweet. The countryside is idyllic. I was also invited to come along to different outings which was fun to see the local events and traditions. 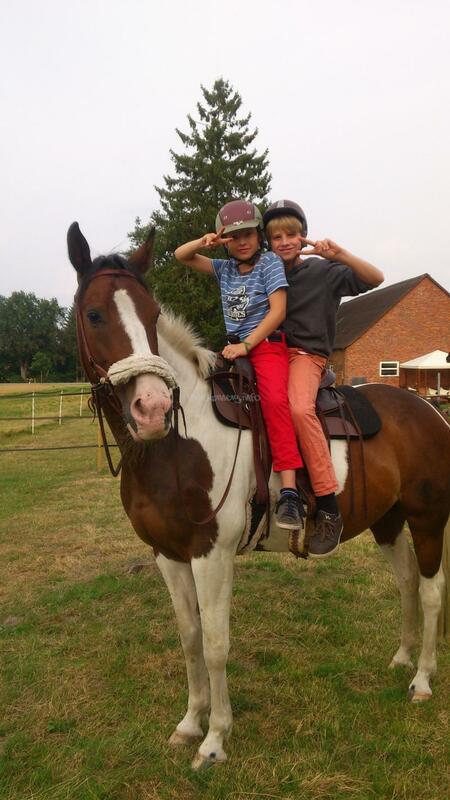 It was great to work with the… read more horses and in the garden and even do a little riding. I would highly recommend a stay with Anna and Anne-Lisa. I already miss being there. 10 Tage waren sehr wertvoll für mich, danke ich Ihnen für all die Schönheit, die ich erlebt habe. Ich vermisse euch alle und Ich weiß, ich war sehr glücklich, um Sie alle zu treffen. Hi!!! Anne and Anna Lisa!!! First of all wanted to thank you for everything! I know we have been on touch and I am sorry I live the message till now, time goes so fast!!! This was my first experience as a workawayer and it couldnt be better!!!! since I arrived they received me with opened arms to their home and made me felt like another member of… read more their family :). I helped with tasks like cleaning the house, the stable and horses, a little gardening, painting. 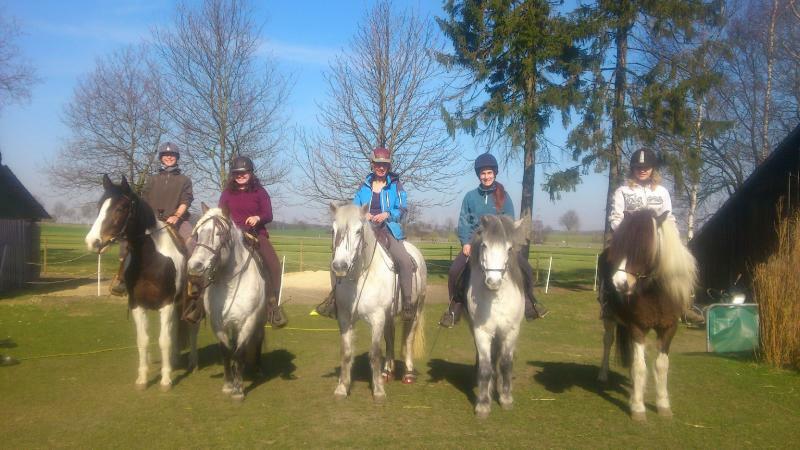 In exchange I had a comfortable bed, delicious food and something I really never expected, ridding lessons! I was really amazed about how many things I learned in one month with them! I really wanted to stayed more but my flight back to Mexico was already booked and it was so sad when I left the house :(. My 5 week on the farm was amazing & went so quickly! Anne & Anna-Lisa were so kind & welcoming during my stay & always made sure I was happy. I really enjoyed the work that I did - it was always varied and Anne & Anna-Lisa make sure you don't do more than your 5 hours. I helped to clean the stables, exercise the horses & dogs, paint inside the… read more house & furniture, clean the house & did some basic gardening. I really enjoyed getting to know & spending time with the children in their care as well & the house has a lovely atmosphere. There is plenty to do in your free time too. Anne is fantastic with the horses & the dogs & I learnt so much from her. 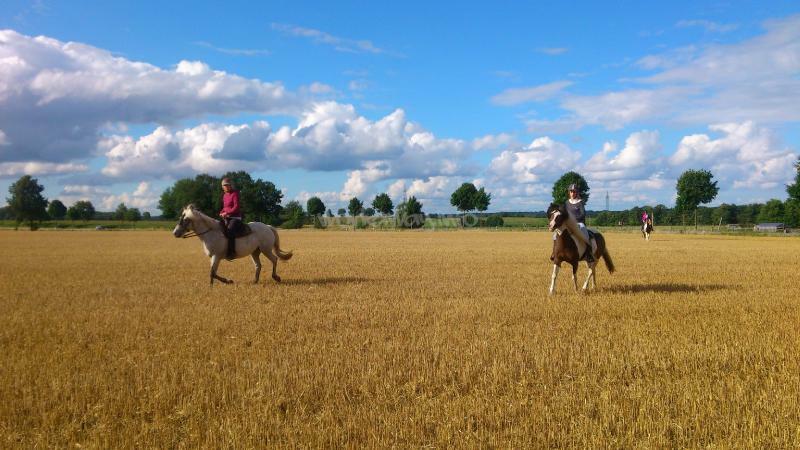 I was also lucky enough to have some riding lessons which was amazing :) The farm is surrounded by beautiful country side with lots of forest & walking/cycling paths. The connections to nearby towns & Hamburg are also good, so it's easy to make the most of your time off. thank you so much for your wonderful help in everything! you was a great help for our house!!!! and the the time with you was full of good energy and mood! you are everytime welcome back!!!! I was at the house for just over 2 weeks and it was fantastic! Everyone was just so nice and excepting. Lisa was away at school most of the time and Anna Lisa was nesting with the new baby often. So I spent most of my time with Anne, and what a great person she is! She is easy going and giving. She offered me riding lessons and a place to… read more stay in Berlin with a good friend of hers. We had some very nice conversations about life and about the farm and their ideals and practices. Luna was also very kind and open hearted. The work was simple and the schedule was flexible. Thanks to everyone for making my stay wonderful. I won't forget it!! She is a very talented, hard-working and reliable all-round worker, and we are convinced that every future employer will appreciate having Elena around. I am so lucky for meeting this German Family, for being a part of their life. First, I spent there 2 weeks in december, last year, arround Christmas. Because of some unexpected circumstances in my journey, I asked them to come back in January 2015 and ended up of sharing one more month with them. I was really blessed, beacuse, the more you spend… read more in that place with special people and energy, the more you understand and learn from them! For all workawayers reading my review, you have to know that Anne and Anna -Lisa have a social pedagogical project for teenagers in need. 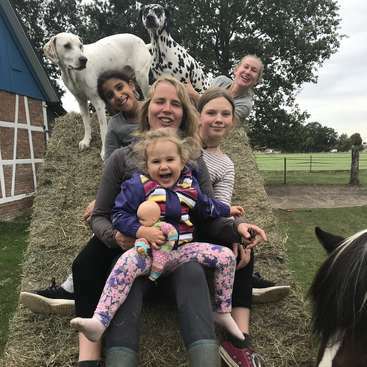 The children come in the Landhaus only for weekends and holidays, when they have various activities, the main ones focusing on their interaction and communication with animals: the horses, the 2 dalmatians dogs (Bonnie and Jack) and the 3 cats. So, it would be excellent if you have known some Deutsch, because not all the children know English. Anyway, the hosts know good communicational English. 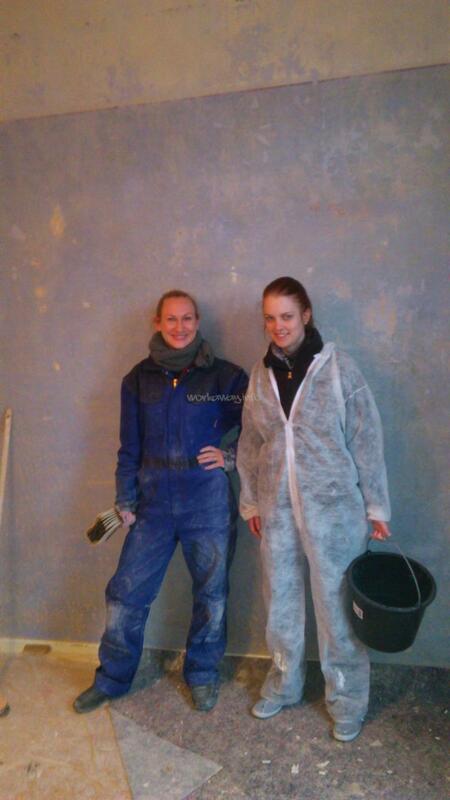 Our MAIN DUTY as workawayers was to help cleaning the horses' stables, to feed them. Then, depending on the weather, schedule or other needs, the working activities may vary. 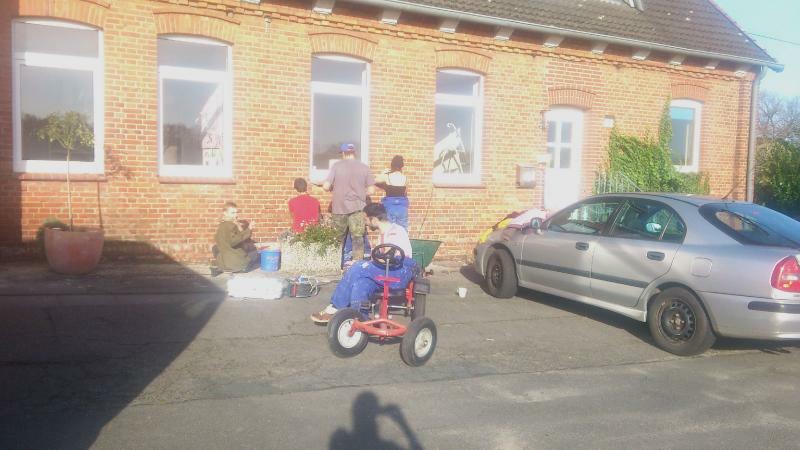 Me and other helpers, we painted furniture, cleaned the house (which is quite big :) and I loved that), helped Dario in the kitchen in preparing, setting and cleaning the meals, raked the leaves in the garden and other outside manitenance work. I can definitely say the last Christmas in your house was exceptional, with carrols near the Tannenbaum, cooking biscuits master-class with Patrick and Johannes,our night walk in the dark forest on Chritsmas Eve. I appreciate your effort of singing a Christmas Song in my language and learning some folk Romanian Dances. I will always keep you ALL in my heart as a place where I could dream and share smiles and secrets ....as HOME. Tiere versorgen, Gartenarbeit, Reperaturen, Schleifen, Malen.... erledigte er stehts sehr, sehr gut und ordentlich! Wir können Evan nur empfehlen!!! Mein Kumpel und ich haben 2 Wochen bei Anna und Annalisa gewohnt. Die Arbeit war nicht anstrengend und man konnte selbst die Arbeitsstunden kontrollieren. Die Leute waren alle ganz nett und waren auch immer hilfsbereit. Das essen war immer ein gutes Bio essen. Außerdem war das Gebiet auch sehr schön. Wir hatten eine schöne Zeit am Hof! Thank you Anne and Ana Lisa for this great moment in your home ! The house is very nice and i felt confortable in the first moment i arrived. Unfortunately, i couldn't speak with the children as i'm not speaking german but Anne and Ana Lisa speak english. And even they were very occupied with all the children and the home life, they always… read more took the time to help me when i needed it. I was very nice to work with other workaway they try to join. Special mention for the food which was very tasty, different each day and so healthy ! I leave now with all the energy i need to follow my trip. Thank you too to Luna who also works there for your special attention and to share your knowledge about so many thing and especially about moringa. MORINGA POWER !!! Good luck for your project and have a nice party ! I let to everybody a concrete kiss !!! Anne and Anna Lisa have a really incredible project. They are truly good people with open hearts. Anna Lisa and Anne were always very clear about the schedule and projects, which was very nice. I spent most of my time tending to the horses and painting with other volunteers and it was great! I had started by staying 1 week and ended up staying 3!… read more I am very grateful for long walks in the woods and the beautiful souls (animal and human). also, the food was also great!! Thank you so much for you kindness and warmth! I hope to return in August for the festival. It was my first experience on Workaway and it couldn't have been better. Anne and Anna-Lisa held a wonderful project about teenagers and the farm which is a lovely place. I stayed for 2 weeks with them and they helped me so much in every aspect. I am really thankful that I could help the farm even a little bit because it is amazing. I loved the… read more talks I had with Anne about environment and social consciousness. A world is a better place because of people who thinks and acts like her. All the family makes you feel like you belong to them. For me it was very important to be in touch with nature and animals. I even got the chance to ride a horse for the first time, and for me it was a really breakthrough. Thank you very much for everything, I will always keep this experience in my heart! I had a great two weeks here and was treated so well! There were always delicious meals and the whole family is very nice. The work was good because it had me up and moving around getting plenty of exercise. Thank you guys for making me feel so comfortable and welcome! What a great place! Anne´s and Anna Lisa´s "Landhaus" is very beautiful, full of good energy and a open and warm-hearted atmosphere. Anne, Anna-Lisa and the rest of the big family are excellent hosts and make you feel like home immediately. I was there for one week, the work was easy and I had enough time to relax. Thank you a lot....all the best… read more for you and your work! Eli and Aitor were a very long time in our house and we lived together like a big and funny family. now we all miss them soooooo much. we miss them as a very good worker team and also in our freetime as members of our family. they both together were a perfect workerteam: Aitor is very strong and can make difficult work and a bit electricity-work… read more and a bit engeneer-work. a very good man to have in a big house or farm. he have also a very lucky-hand with the children. at special the boys miss him so much. Eli is a very hard and good organized worker. she can be a guide for a big worker-team. she can do all works around the animals and the children. all animals and children love her so much. she is a very bright and diligent person and also always very motivated to do all kind of work. they both can do nearly all kind of work fast and very good. we hope they visit us soon again!!! Sanna is a very friendly, quiet, efficient and good worker. we were very happy that she stayed two weeks longer than planned. she is a fast learner. she has a lot of good skills for a so young girl! she is a good worker in a big team or alone also. she was very fast like a pleasant member of our family. she has always a open door in our house!!! I came for 2 weeks but stayed for 4... And could have stayed for longer! Overall atmosphire at the farm was very relaxed and pleasant. 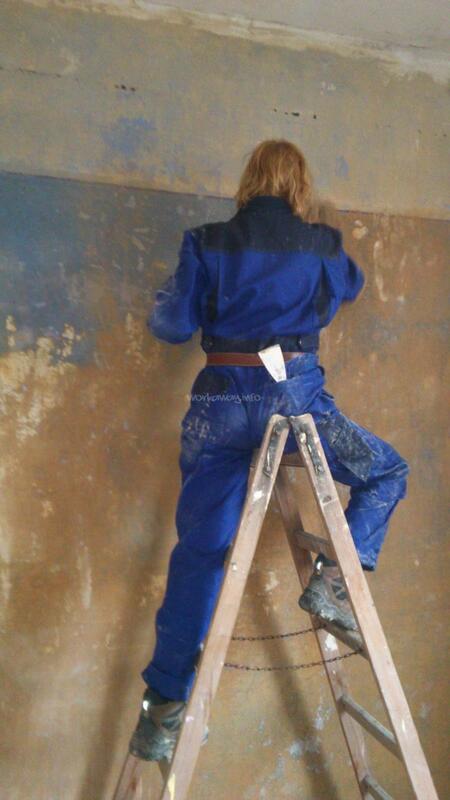 There were many people to work with and jobs included mostly working with horses and painting of walls. And the food was heavenly!! Thank you all for this experience & I hope to come again. you are welcome in summer to visit us and enjoy the new livingroom!!! I was so happy during last 2 weeks working in this wonderful home with Anne and Anna-Lisa. Also with other workawayers, we had so much fun together. Surrounded by beautiful nature and cute animals, I could feel so relaxed as well! Dario is an very friendly and good person. He is a quiet and calm man and want to make all perfekt and good. We thank him for his angagement so much. We know that he have before he come in our house no experience with farming working and all the other things we need. And he always tried to learn a lot and he attempt to make all very good. We… read more appreciated very much that he was in our house always very clean and tidy. We wish him all the best for the future and hope, he have always good luck!!! My experience in Anne and Anna-Lisa place was wonderful! Very friendly people, genuine and tasty food, very comfortable guest room and a lot of nature..And now I love the horses! Very great experience, thanks a lot!! I hope to come back soon!! Brooke is an wonderful person and we are so happy to have met her. She is always loving and positive and make a good atmosphere in the house. She was singing and worked a lot of different things. Build, sew curtains, cook... and a lot of other... we thank her so much for all the help and ideas!!! We wish Brooke all the best for the future and her journey!!! My experience was unbelievably wonderful. I felt so welcome there. The hosts Anne and Anna-Lisa are such big-hearted, spirited people and care greatly about their project to help children, which to witness first hand was really special. They are such kind hosts and their generosity made me even more eager to help out in anyway I possibly… read more could! One goodbye was apparently not enough because I missed my plane and stayed a couple of unexpected extra days with them and the family :) Thank you so much all of you!! If you have a good heart and an open mind I urge you to come to this place to have an exraordianary experience. Beautiful people living in harmony. I cannot thank you enough, Anne and Anna-Liza. My love to you and everybody. Gaston was very friendly, nice and always industrious. He was a very quiet and pleasant and hospitable help. We thank him for his help with all the work! outside his working hours, he was very helpful also. it was very funny and nice with him. he always wanted to do everything right. Many, many thanks for the help! we wish you all the best for… read more your traveling! What an amazing and inspiration time I spent with Anne, Ana-Lisa, Max, Lisa, Lisa, Patrick, Big Johannaso and Genno! 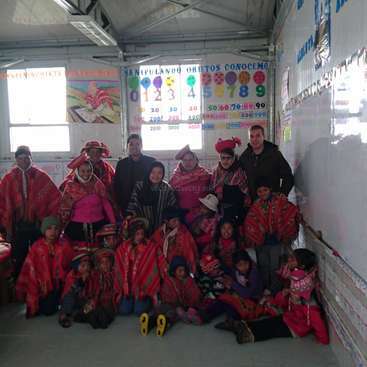 I learnt an incredible amount for my time working in the house and the time with all the children, laughing and smiling as we went. I felt at home instantly and part of the family. Anne and Ana Lisa are kind, sympathetic and… read more caring souls, and did I mention great cooks! The only problem was leaving!! I know I will return shortly to gallop some more with my buddy Genno, offer help wherever I can, and learn and laugh with you all. Thank you all, I hope to see you again soon. With much love from the ocean and Portugal, where you are all always welcome :) Tschüss! Anthony was our first volunteer. He was a very likeable person and so he makes us the start with workaway very easy and funny! Very fast he was like a member of our family. He was very friendly to all people and animals. The children loved him. Also he was a very, very good worker and very motivated. He has always his own impulsion for all works… read more we need and he know a lot of specialized knowledge. He was a very great help in our house and we all miss him! We are very thankful for all and we hope to see him again soon! Bob was one of the first volunteers in our house and we are very happy to meet him. Very fast he was like a member of our family. He was very friendly to all people and animals. The children loved him. Also he was a very, very good worker and knows a lot of important things about all parts we need for our work. He was a very great help in our… read more house and we all miss him! We hope to see him again once! We are very thankful for all!! !